From a selection of SOMANGO (Super Skunk hybrid - Jack Herer - Big Skunk Korean) came into our hands this plant have been working with for several years. 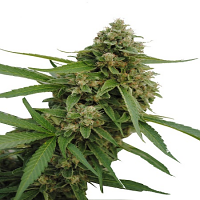 Txomango Feminised Cannabis Seeds by Genehtik Seeds: From a selection of SOMANGO (Super Skunk hybrid - Jack Herer - Big Skunk Korean) came into our hands this plant have been working with for several years. Defendant forward by all who have tried it at some point, everyone wants to feel the tropical fruit flavour that fills your mouth and the intense floral aroma and sticky. 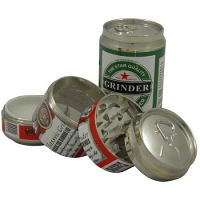 Its effect is very pleasant and it's not devastating, so we recommend enjoy it in pleasant company. Its growth is slow inside, with a small highly branched plant with little internodal distance. Many plant leaves, broad, large and dark green. 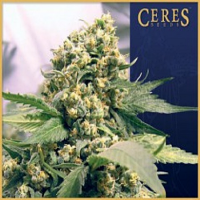 Fat, dense and full of resin, very aromatic buds, outdoors is a medium shrub-like plant with many branches that produce beautiful highly resinous buds.